Old Dominion Iron Chefs had our Mexican DOG( Dutch Oven Gathering) yesterday this is the dessert i made for it. Next time i make it i will add some fresh fruit. 1.Preheat dutch oven to 350 degrees F (175 degrees C). Prepare 12 inch dutch with cooking spray or dutch oven liner. 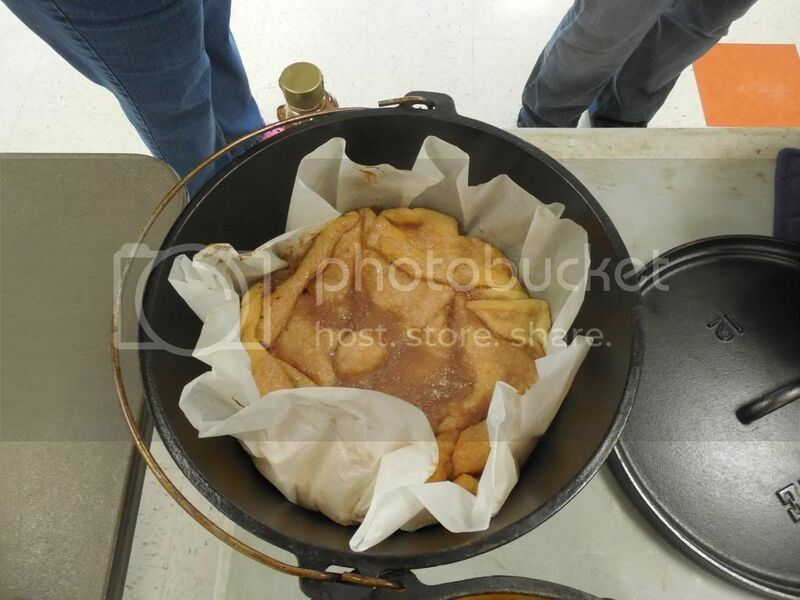 3.Unroll the cans of crescent roll dough. Press one piece into the bottom of a 12 inch dutch oven. Evenly spread the cream cheese mixture into the dutch oven, then cover with the remaining piece of crescent dough. Stir together 3/4 cup of sugar, cinnamon, and butter. Dot the mixture over the top of the cheesecake. 4.Bake until the crescent dough has puffed and turned golden brown, about 30 minutes. Remove from the oven and drizzle with honey. Cool completely in the pan before serving. What kind of fruit do you think will go well in this? It looks delicious! Apples would probably go quite well, raspberries as well. 1) If you cook too much food, share. 2) Cook too much food. It was gone except 2 bites!!!! it is a keeper!!! !